This textbook, with its building-block approach, provides comprehensive coverage of basic, advanced, and server topics, including: *Linux installation *Running the command interface and the X Window (GUI) interface *Kernel and boot manager *Networking services Readers with a basic understanding of a GUI interface operating system and of a command prompt operating system will benefit from this text. 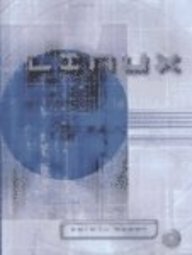 Key features of this text include: *End-of-section Questions guide your study and help prepare you for Linux certifications, such as Comptia's Linux+ exam and the LPI Linux exams. *Hands-0n Exercises facilitate learning and retention. *Exercises throughout the text are written for Mandrake Linux 9.1, which is found in the accompanying CDs.